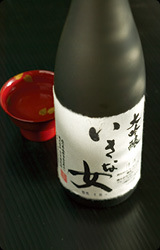 Daiginjo sakes take the rice polishing ratio down to 50% or less. They are made in smaller quantities, and rely more on traditional methods. Flavor and aroma profiles tend to be fuller than with ginjos, and exceptional labels display both complexity and finesse.